1. Plan ahead where to put things before you store so that frequently used items are stored at the front of your unit where you are able to access them more easily. 2. Make a simple sketch as you move into your storage space showing where your items are stored for future reference. Label your boxes clearly and mark "Fragile" on boxes containing breakable items. 3. Think vertical by stacking to the ceiling. 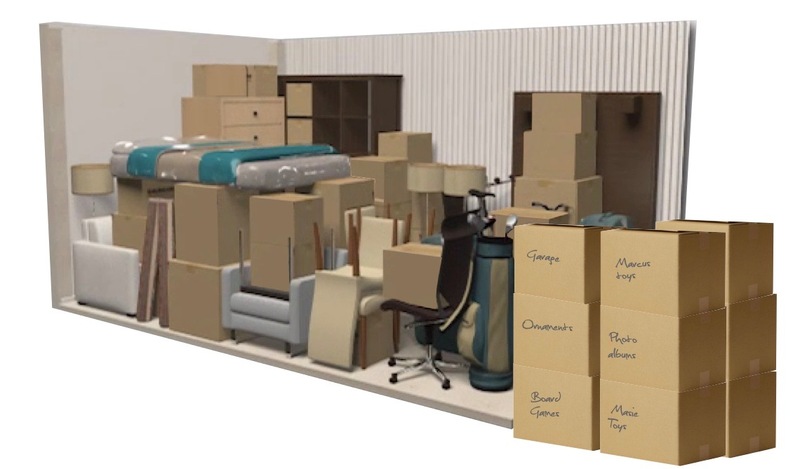 Make the best use of your storage space by stacking, working from heaviest items on the bottom to lightest items on top. 4. Put heavier items in small boxes to make them easier to lift and fill all boxes to capacity for stacking. 5. Cover large items too large to pack in boxes, such as furniture, in dust sheets. 6. Do not over-reach - use a stool to stack and reach items stored above your head. 7. Optimise your space. For example, if it's possible, remove table legs and stack chairs seat-to-seat with towels or blankets between them. 8. Use wardrobes and even appliances like refrigerators to store other items like linen, books or CDs. Wedge open the door of any appliances slightly to allow air to circulate inside them. 9. Make sure to leave a little space between the walls of your unit and your stored items to allow for ventilation. 10. Items like tools (shovels, hoes, rakes and hoses) should be stored together in empty bins. Make sure to stack extra bins inside one another. 11. When storing petrol-powered lawnmowers, drain oil and petrol fully before storing in your unit. Call 01869 369504 today for more information or email us.